2013 Ford Escape SEL is ready for your ownership. Powered by a TurboCharged 1.6 Liter EcoBoost 4 Cylinder that offers 178hp while combined with a 6 Speed SelectShift Automatic transmission. This AWD SUV supplies you awesome response and agility no matter the road condition while helping with near 32mpg along with the available 3,500lb towing capacity and the adventuresome part of your life. The SEL interior is all about you! Voice-activated MyFord Touch Sync, a leather-wrapped steering wheel and heated leather-trimmed seats and unique accents throughout make you feel like a rock-star. All 5 passengers have plenty of room to relax and ride in comfort. Safety has never been better! Ford Escape offers six standard airbags, Roll stability control, SOS post-crash alert, tire pressure monitoring, and traction control all ensure your safety on the road. MyKey lets you customize features such as speed and volume controls for the young drivers of the family. 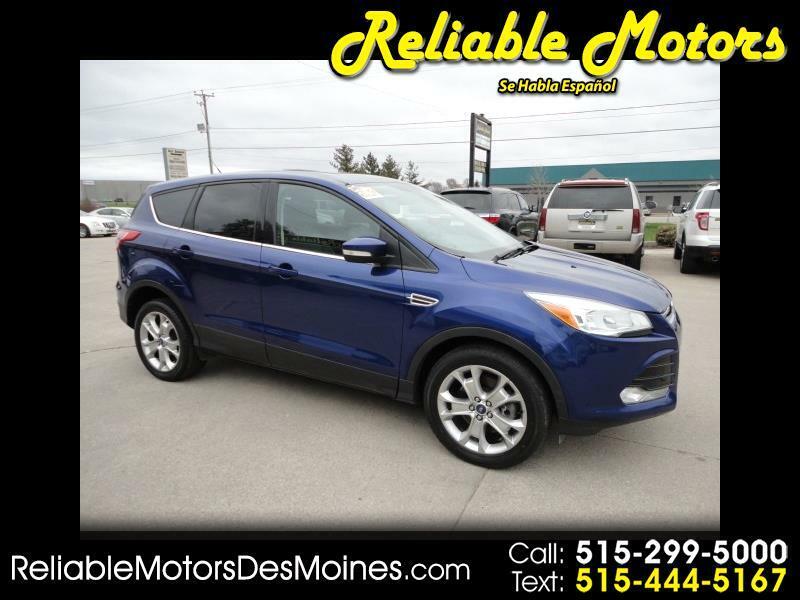 You have chosen a great versatile SUV with the new 2013 Escape SEL! Once behind the wheel, you will know this is one of the most intelligent vehicles on the road today. Print this page and call us Now... We Know You Will Enjoy Your Test Drive Towards Ownership!